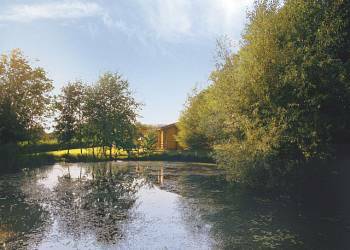 Boasting unspoilt countryside views these luxurious and exclusive Scandinavian lodges offer the perfect retreat away from it all in the peace and tranquillity of 25 acres of beautifully landscaped grounds. 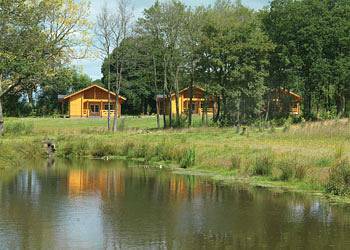 Woodside Lodges have been awarded the David Bellamy Gold Award for Conservation.Woodside Lodges have an impressive backdrop of over 100 acres of mixed woodland, teaming with flora, fauna and wildlife. This idyllic cluster of lodges provide a superb base for family holidays and romantic short breaks at anytime of the year.The carefully developed wild flower and woodland area is the perfect place to unwind. 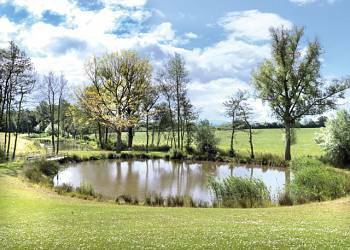 The picturesque pools and waterfalls, coupled with panoramic and breathtaking scenery make this the perfect place to enjoy a spot of coarse fishing or simply sit back and relax and savour the peace and quiet of this scenic setting. 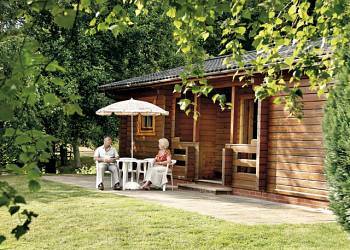 Woodside Lodges offers the following facilities. Majestic rivers wind through swathes of woodland and a fertile agricultural landscape, where ancient black and white timbered houses nestle in picturesque villages - the perfect setting for our holiday lodges in Herefordshire. Whether you want an active break or something all together more relaxing, you�ll find a host of delights to enjoy when you choose Hoseasons lodge holidays. 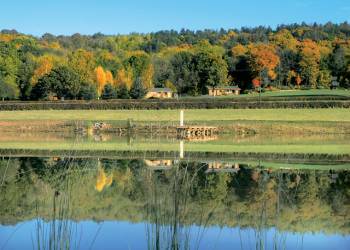 Herefordshire�s beautiful countryside is the backdrop for many exhilarating outdoor pursuits such as canoeing, kayaking, mountain biking, horse riding and hang gliding, to name but a few. And with four long distance paths passing through the county and 154 miles of the Herefordshire Trail within it, there�s plenty of walking too. Beautiful site, tranquil, gorgeous, suits all ages and interests, amazing fishing lakes + nature swimming lake. Clean, fantastically kept. Staff are amazing. I have a daughter with Aspergers and it was a perfect setting which allowed us to relax and get too. Can't wait to return. Can't recommend it enough. This was perfect for us, far away from busy life but close enough as well. The holiday was brilliant, we have been there before and that is why we went back! This was our first stay in a lodge and it was a very pleasant surprise. The accommodation was exceptionally clean, tidy and spacious - I would thoroughly recommend it for a quiet and relaxing break. 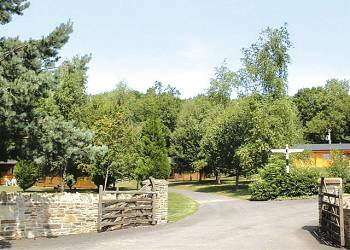 Beautiful and peaceful surroundings and not to far from local amenities and places of interest. The setting is quiet and picturesque. The holiday was exactly as we were led to believe and the local staff as well as neighbours were also very helpful. 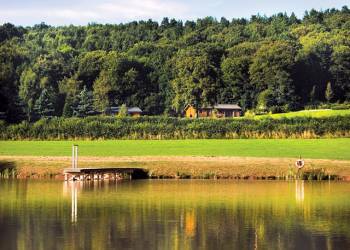 A beautiful peaceful spot but within good reach of Ledbury's amenities. Please keep it as it is, the perfect chill out holiday - even locals don't know its there! In my opinion you can't improve it! A friendly welcome, great views and sunsets, dogs are welcomed and there is great walking close by, especially on the Malvern Hills. Ledbury town with an interesting history is close by, and can supply all your daily needs. 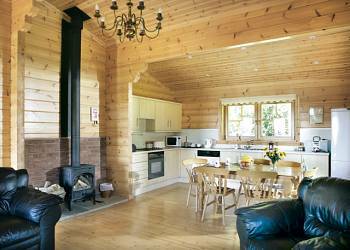 Have you been to Woodside Lodges? Please submit your review so that others can benefit from your experience. 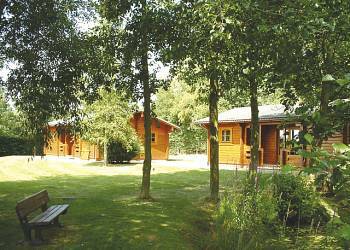 Important note: Information provided here about Woodside Lodges is based on our best knowledge. 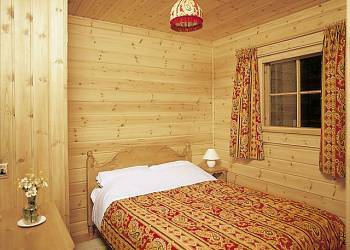 However, please check with Woodside Lodges before booking to ensure that you have the information required. Reviews are the sole views of the contributor and do not necessarily represent the views of CampsitesandCaravanParks.com or Woodside Lodges.